It is spring, and with it we are getting quite a lot of rain. 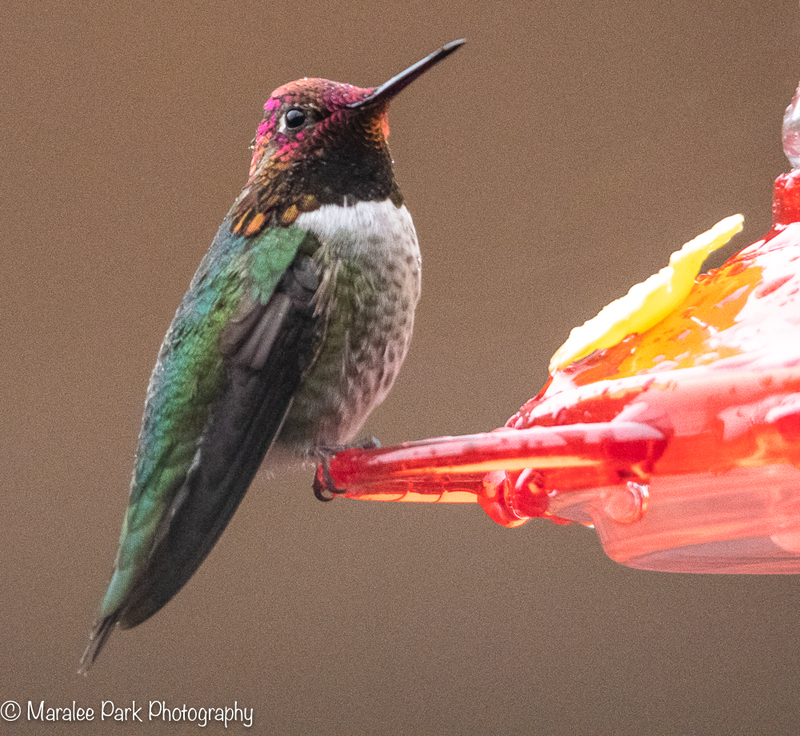 Even so, the hummingbirds have to eat so they still come out in the rain. You can’t tell by the photo that it is raining, but it was a constant rain all day.